A conference whose goal is to provide middle school students across the tri-state area with an opportunity to explore difficult ethical dilemmas in international relations, EthicalMUN is unlike any other middle school conference in the area. Middle schoolers are the next generation of diplomatic and international political thinkers, and they must understand the deep moral and philosophical dilemmas of an increasingly global world. This conference will help them along this path in an environment where they can learn how to compromise and work as a team, while still being able to have fun and be themselves. EthicalMUN II was an immense success. 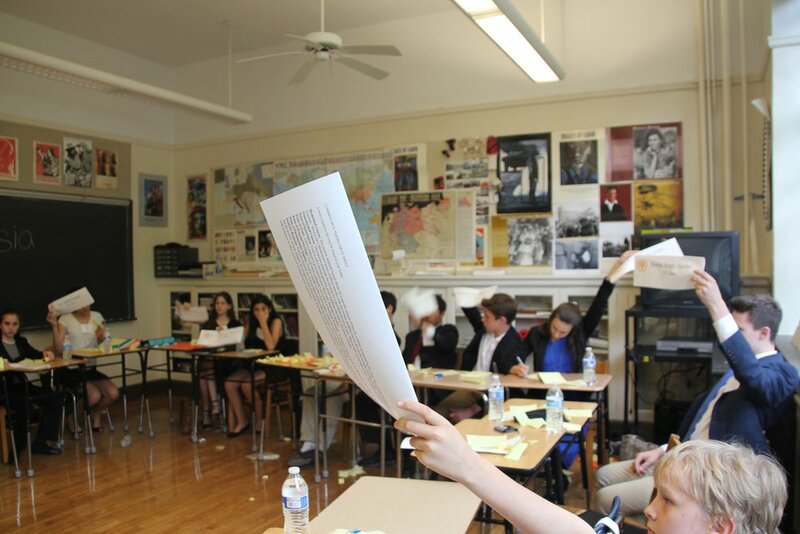 We had over 150 delegates who competed in a variety of committees from US Intelligence Community Joint Task Force to a FIFA ethics committee, to a JCC on the Cuban Missile Crisis and Cold War. They debated, solved dilemmas, and reacted quickly to crises. EthicalMUN III will offer many more exciting debate topics and opportunities. Click the link below to find out more about EthicalMUN's challenging and interesting committees. Ready for EthicalMUN? Click the link below to register.